Dr. Georgeta Macri, MD has been warmly welcomed as “Best in Medicine” by the American Health Council for her dedication to healthcare during 11 years as a physician and hospitalist. As a child in her native Romania, Dr. Macri was deeply impressed by the medical care she received during an illness. After seeing the level of care and dedication that was given to her by the medical professionals in charge of her treatment and recovery, she decided that this was the career she wanted to pursue in the future. In order to fulfill her career ambitions, she focussed intently on her studies, earning an M.D. from the Carol Davila School of Medicine and Pharmacy in 1990. 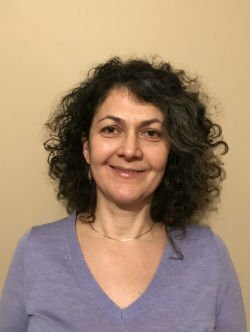 Following one from this, she embarked on a career practicing Internal Medicine in Romania before taking the bold leap of relocating to the United States, where she undertook a residency at the St. Joseph Mercy Oakland Hospital in Pontiac, MI. In addition to her wealth of experience, Dr. Macri is board certified in Internal Medicine. Dr. Georgeta Macri currently serves as a Hospitalist with Hospital Consultants of Troy, MI. Hospital Consultants is a private practice group which has administered inpatient care in Southeast Michigan since 1999. On a day-to-day basis, Dr. Macri conducts hospital rounds and provides internal medicine consultations, medication management and education on patients’ conditions, treatment and preventative measures. Alongside her proficiency in Internal Medicine, Dr. Macri’s role draws on her expertise as a communicator, a skills which has enabled her to excel with patients and peers alike. Looking to the future, Dr Macri’s goal is to pursue her MBA, so that she can become more involved in the administrative side of healthcare. Eventually she would like to start her own practice. She attributes her success to her consistency and to her children, who motivate her to keep progressing. In her spare time she enjoys spending time with her family and travelling. She also takes pride in volunteering and currently maintains an active involvement with several local charities. Hospital Consultants is a private practice group that administers inpatient care in Southeast Michigan. All of their physicians are board certified internists that practice inpatient care. Hospital consultants is a private practice group that has been administering excellence since 1999.